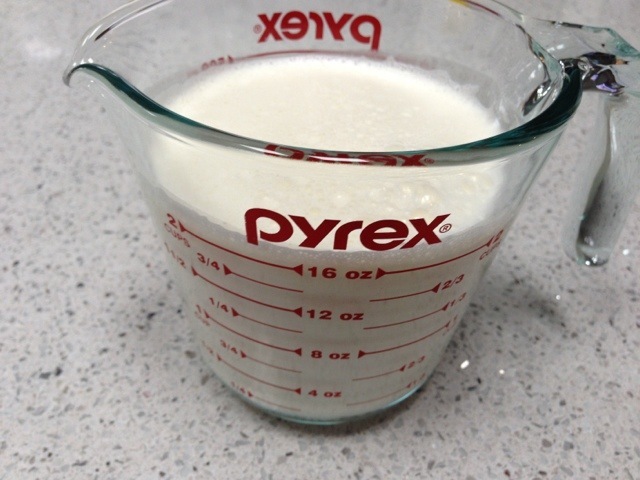 taking a ‘dip’ in pure deliciousness! 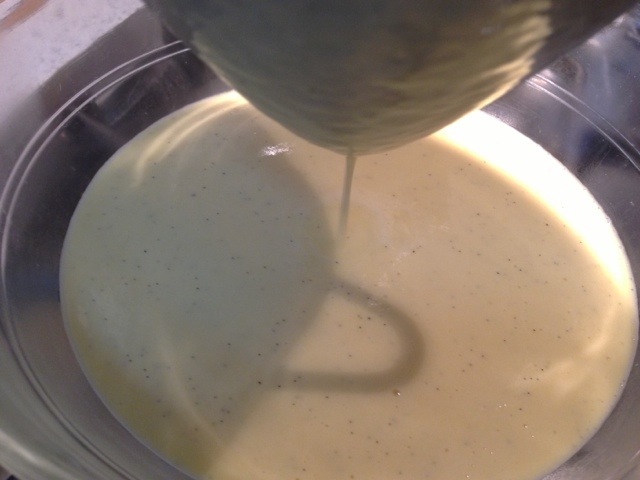 After realizing that I had a few eggs that would be passing their peak, I decided to make a vanilla bean dipping sauce and a batch of insatiable fried dough! 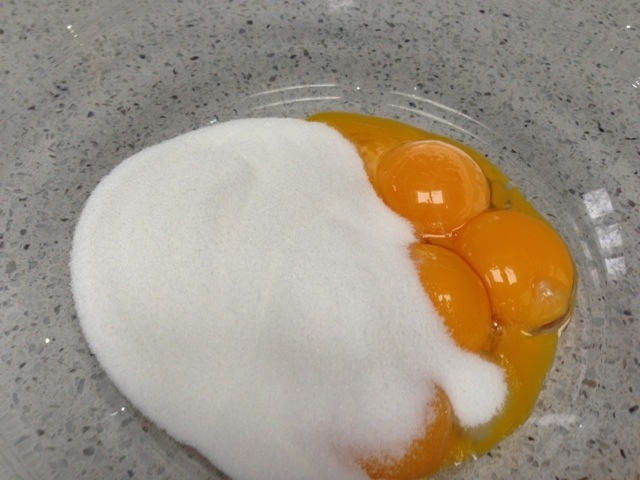 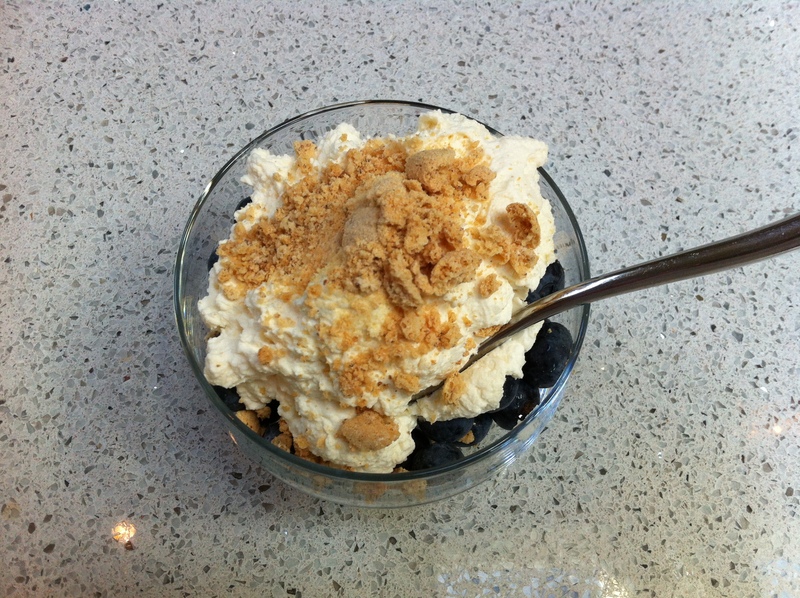 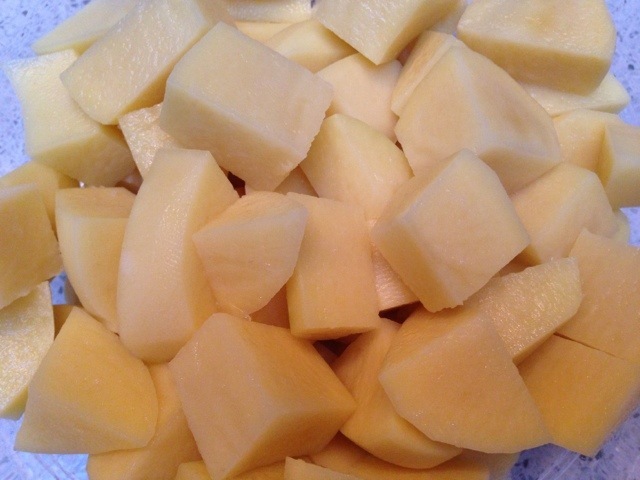 In a separate bowl went four egg yolks and one-fourth cups of sugar. 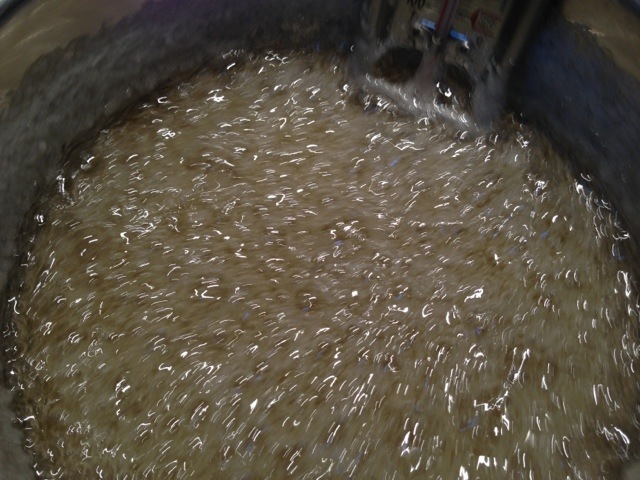 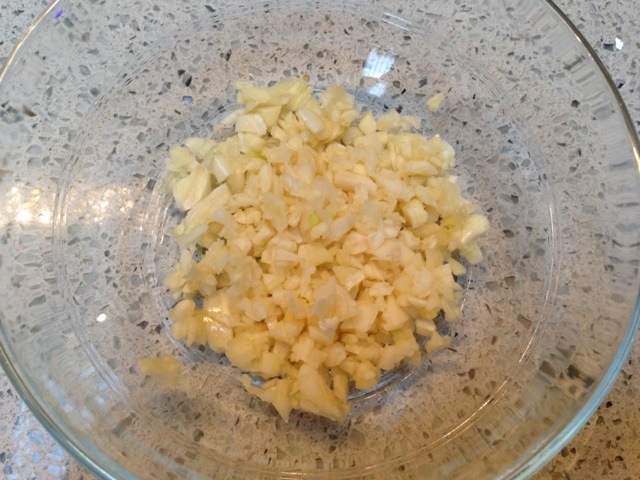 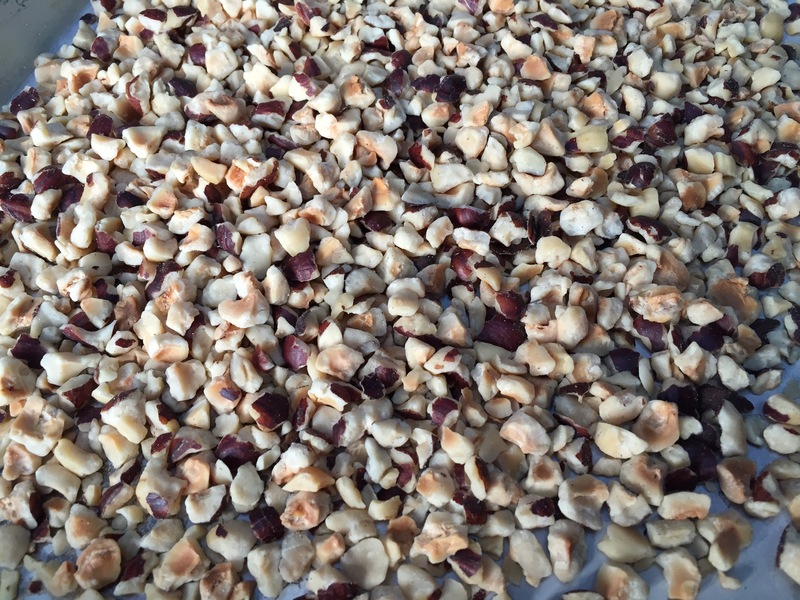 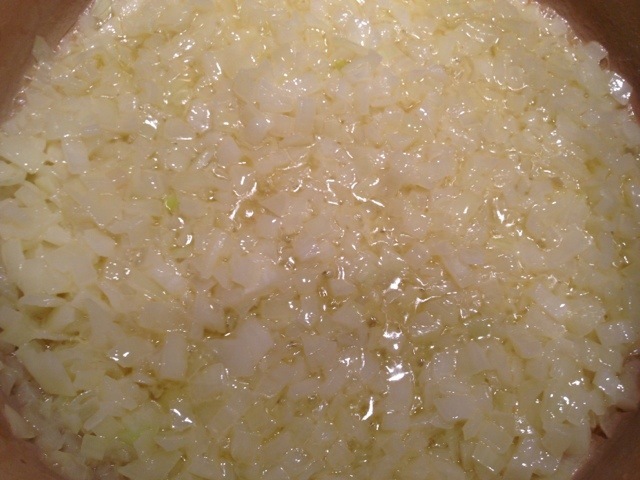 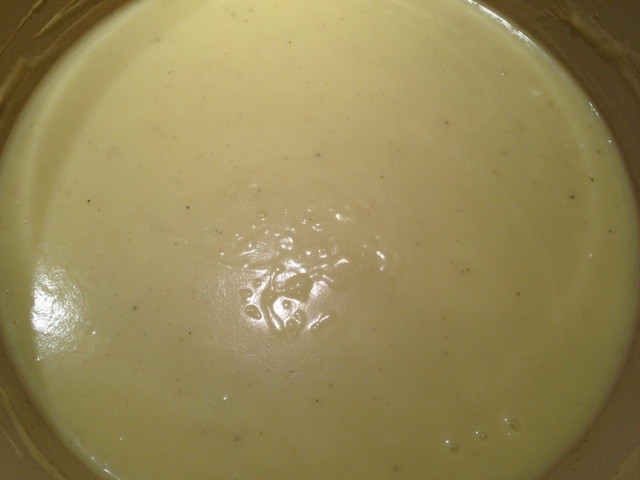 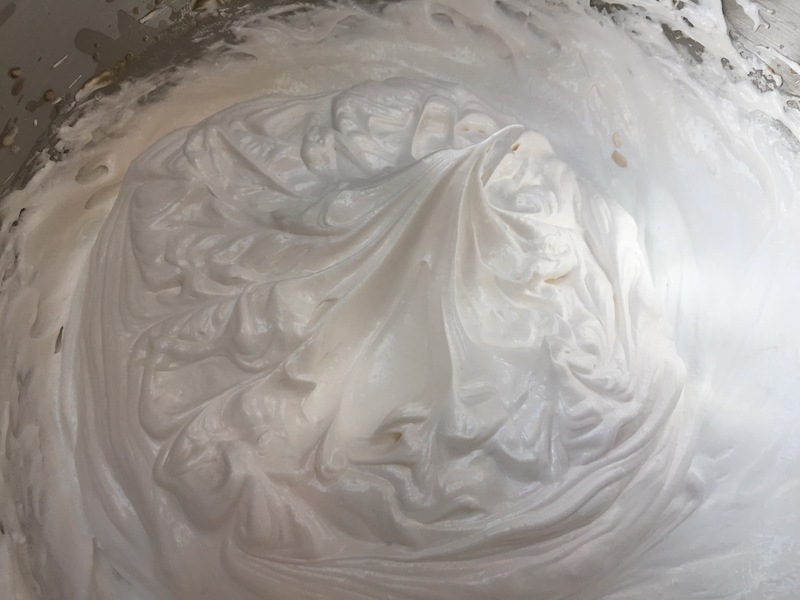 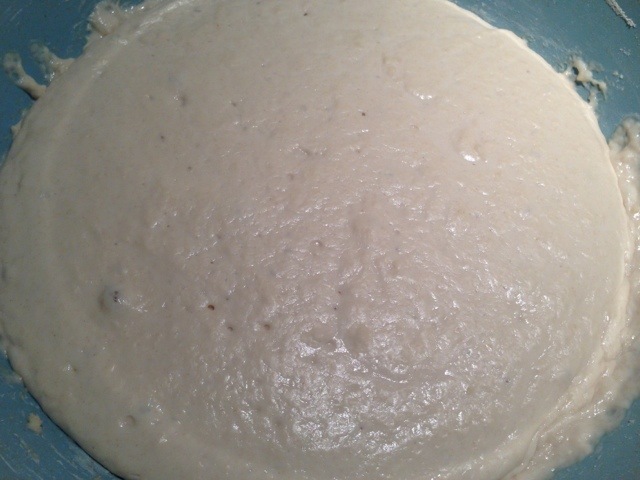 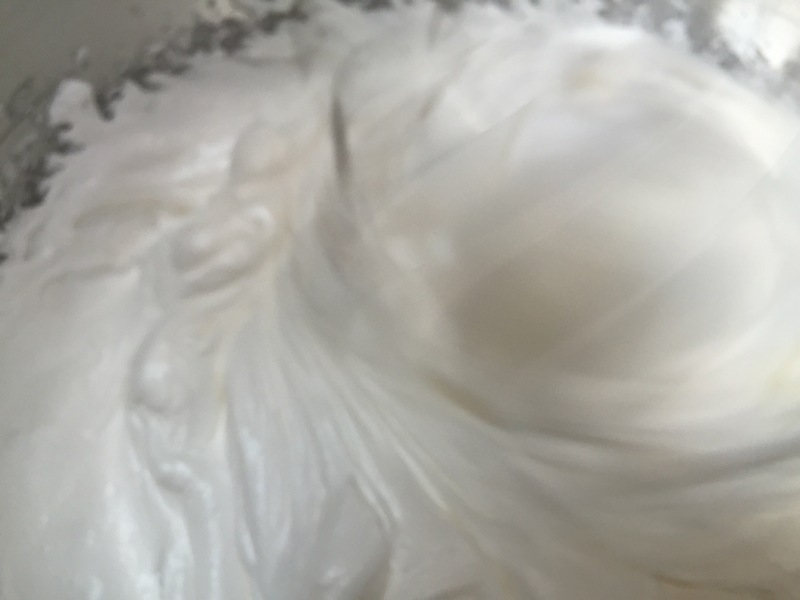 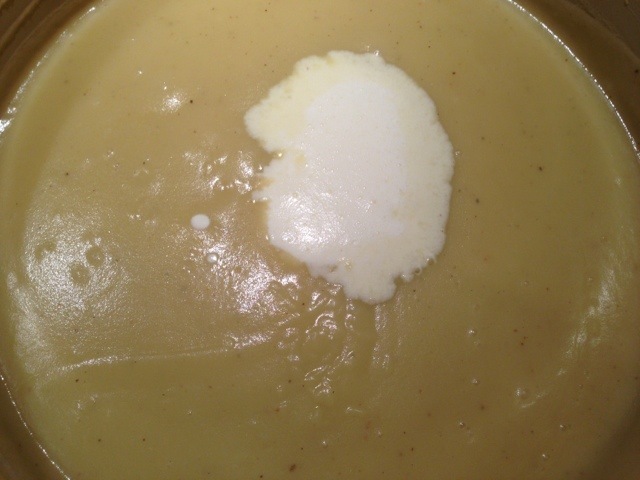 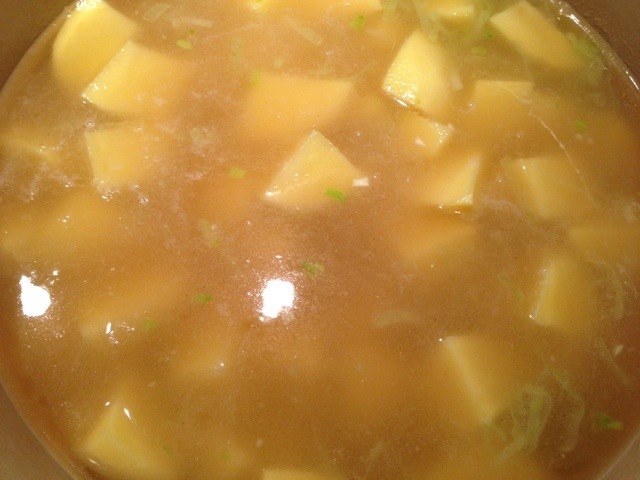 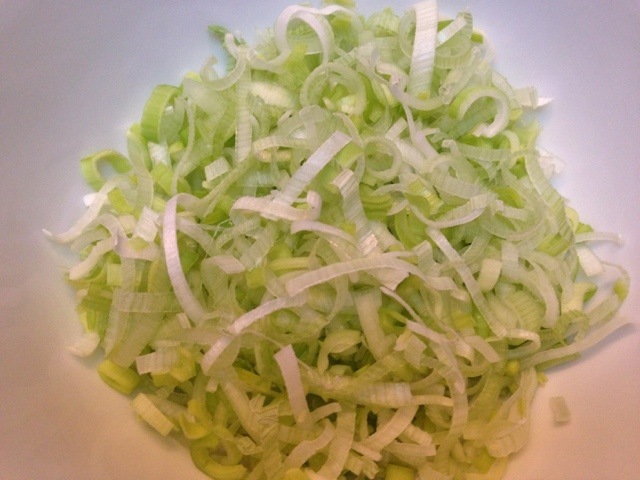 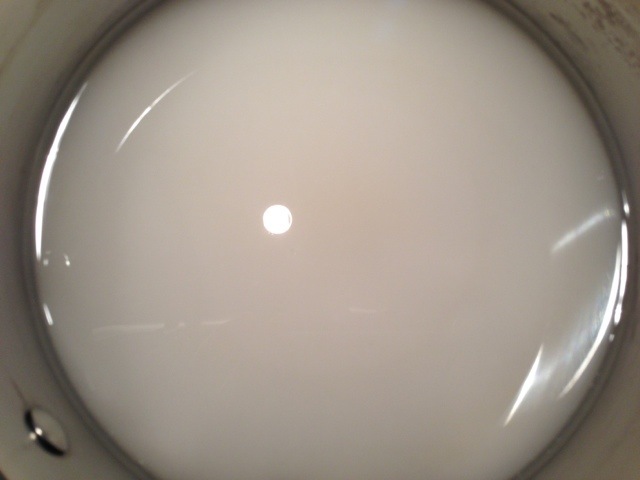 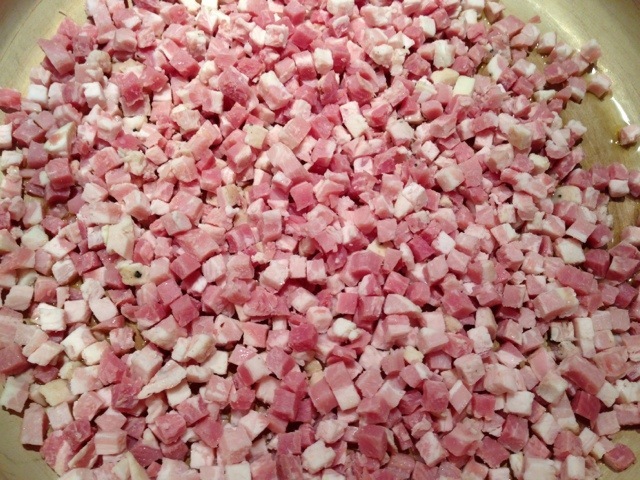 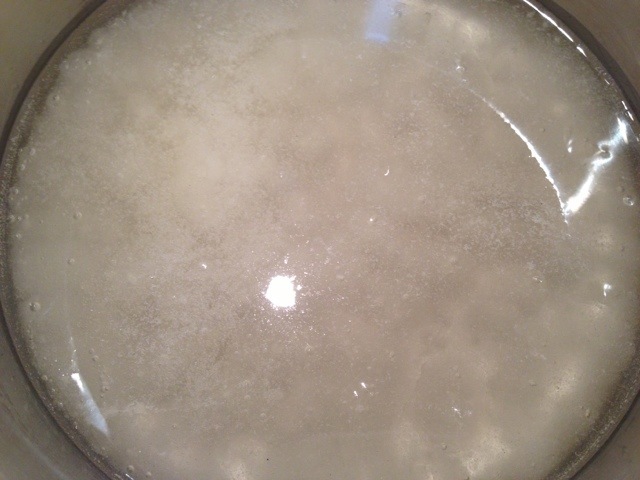 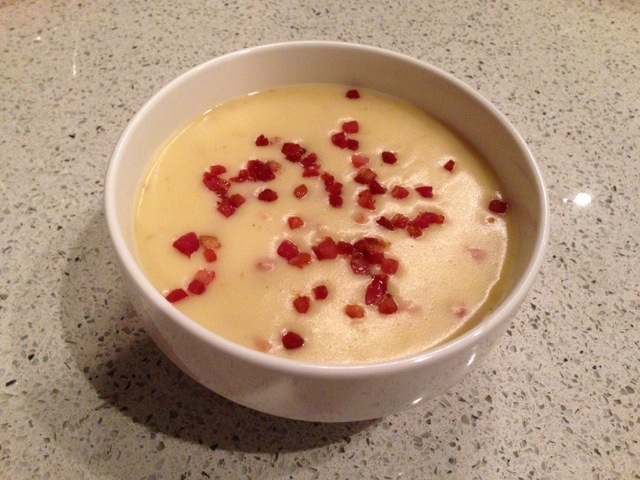 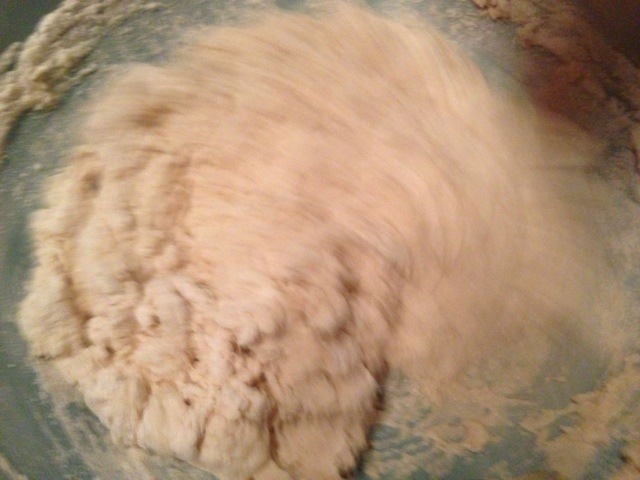 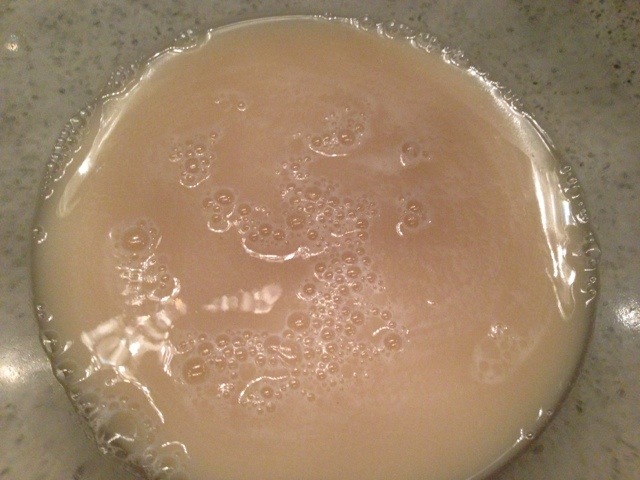 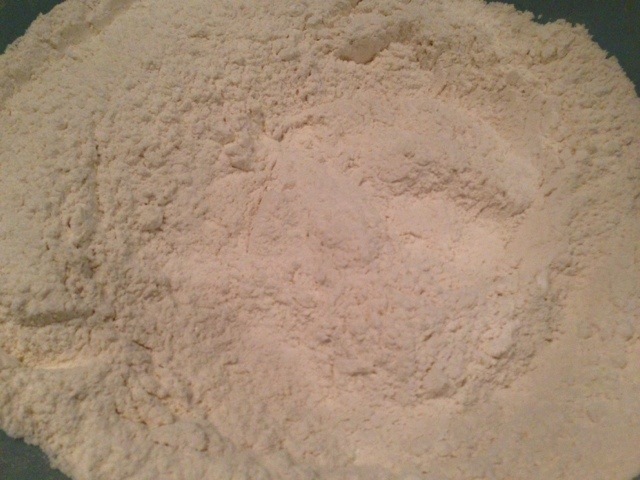 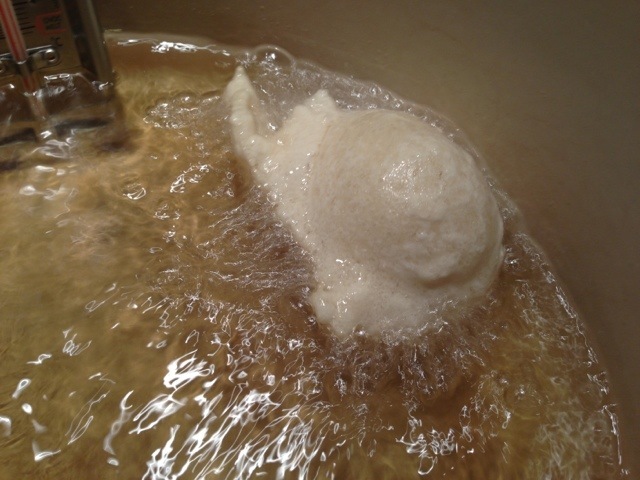 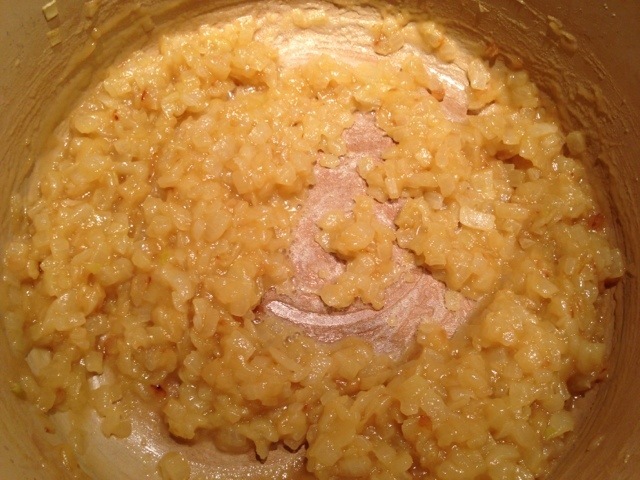 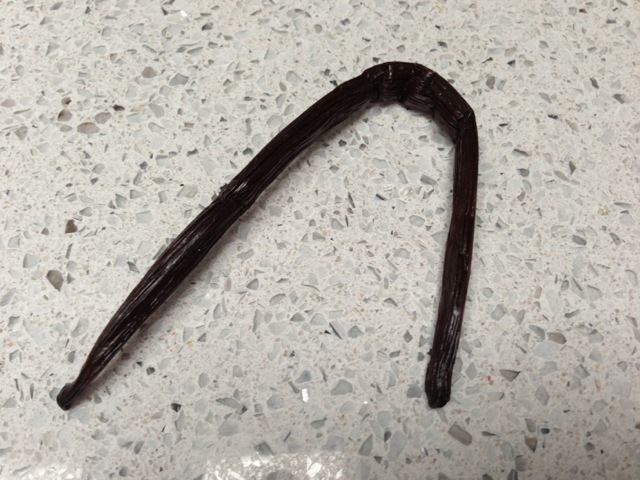 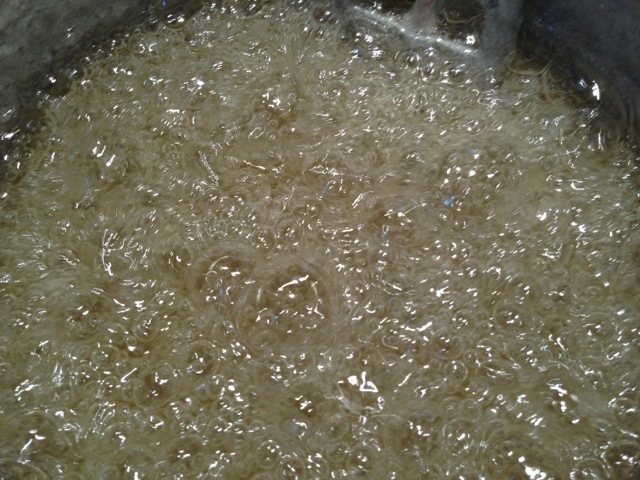 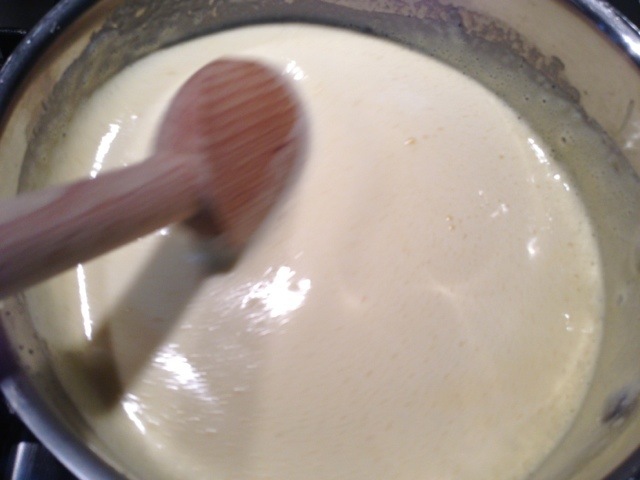 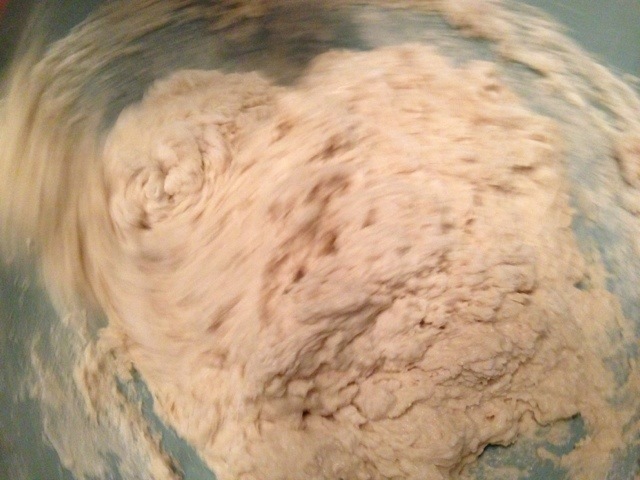 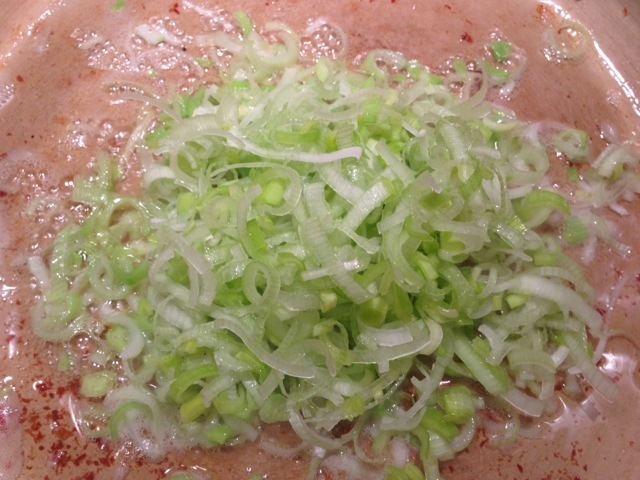 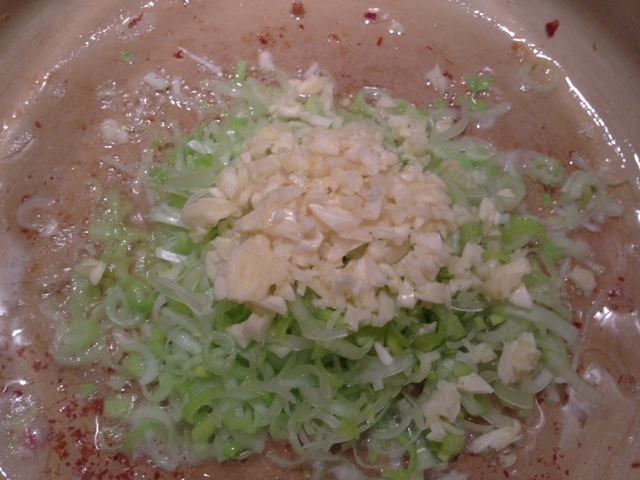 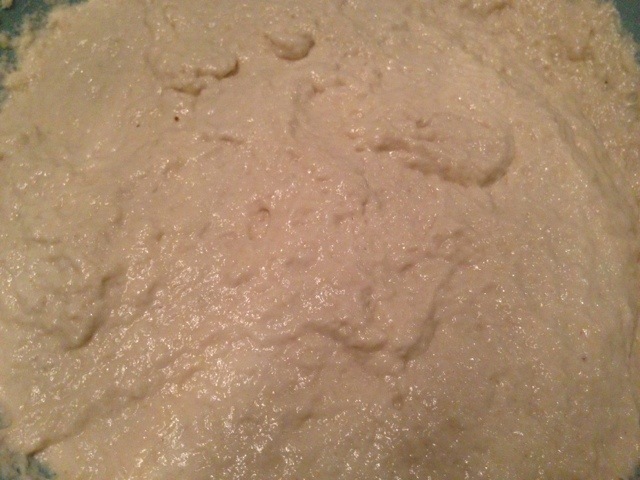 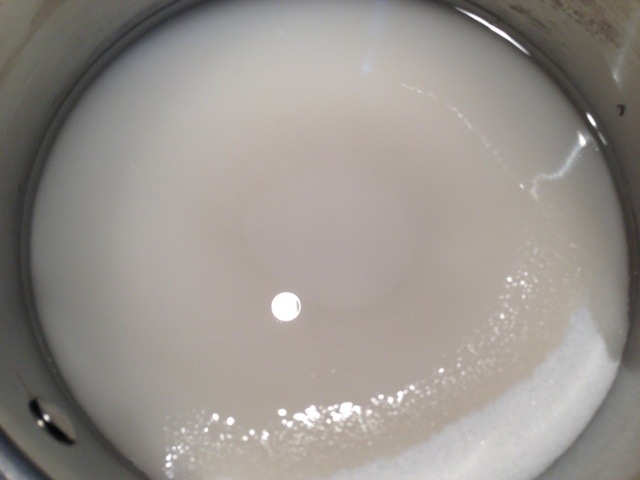 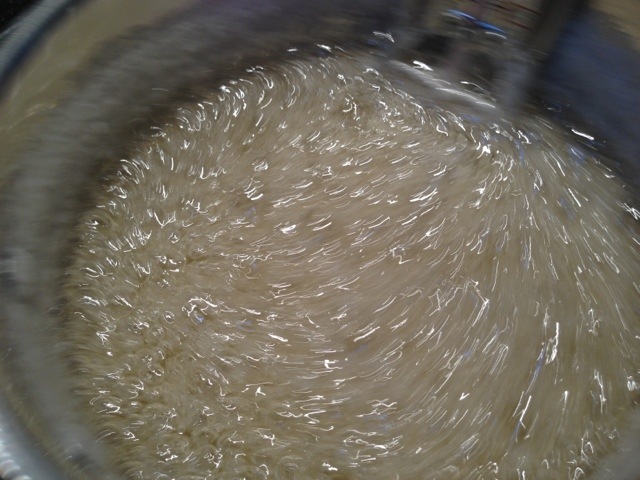 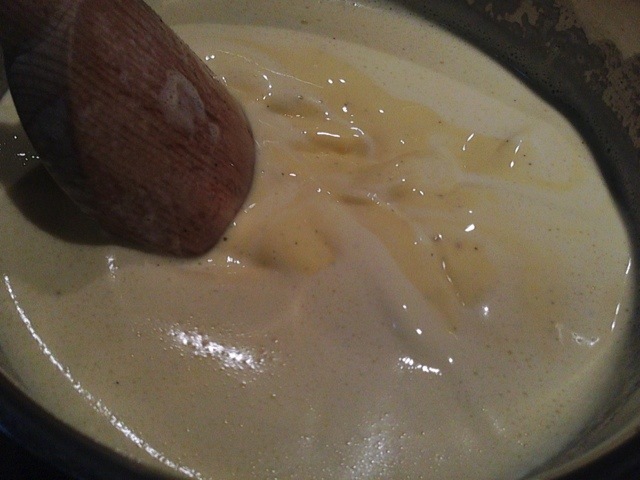 This was whisked until a pale yellow color. 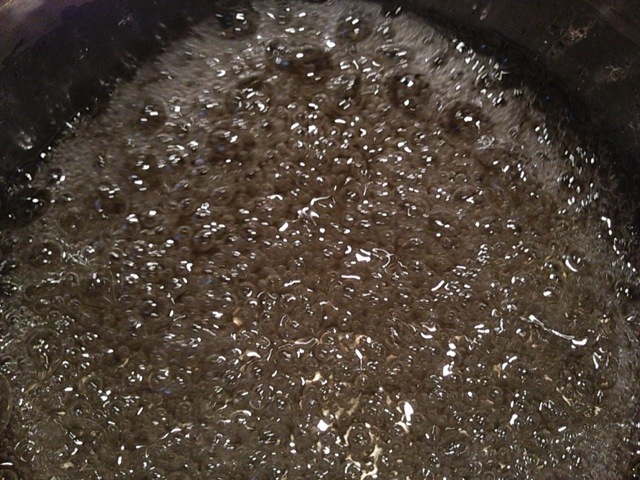 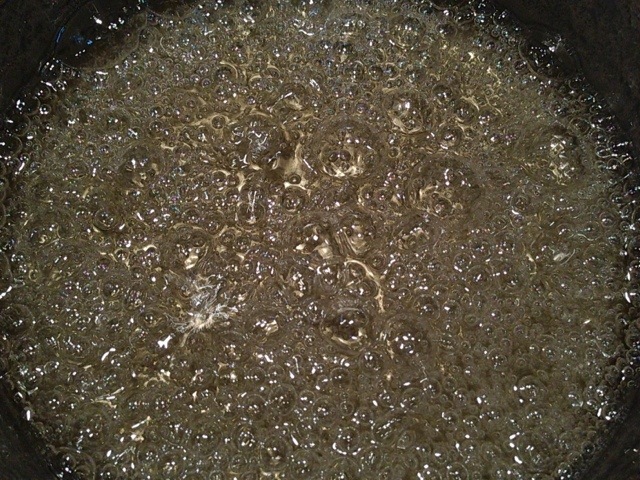 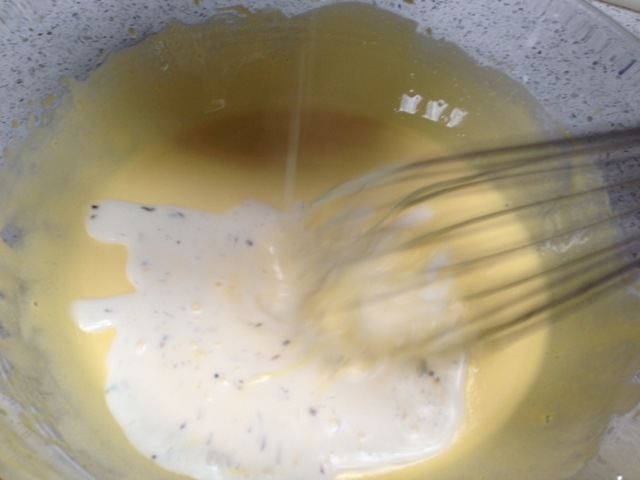 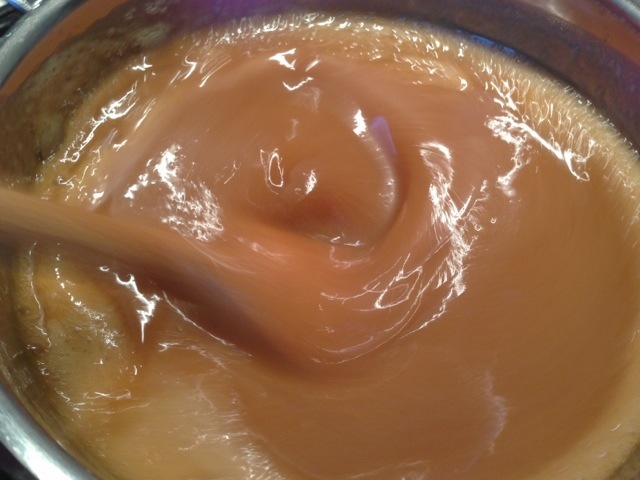 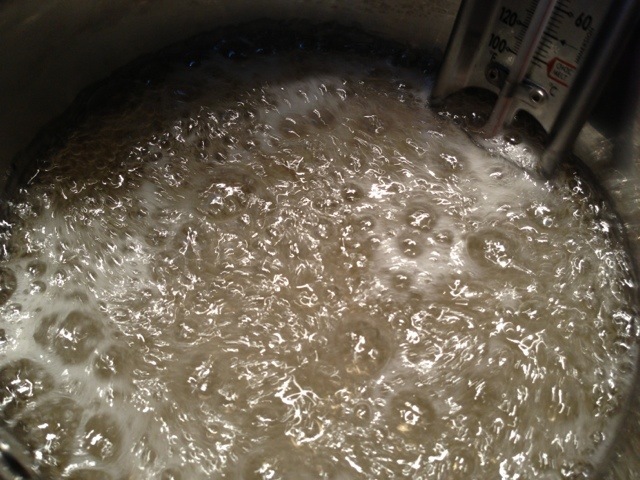 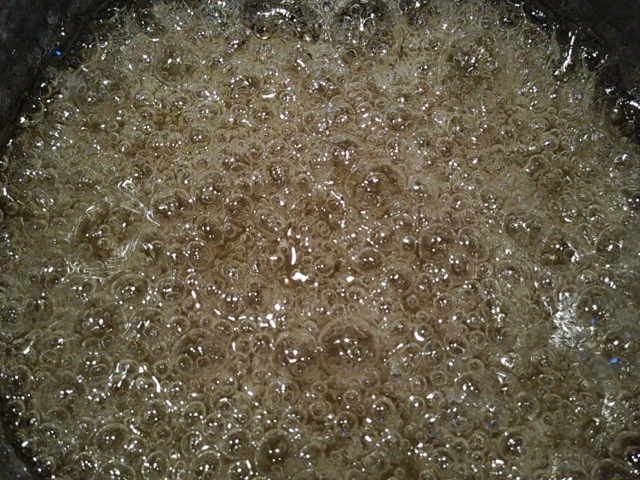 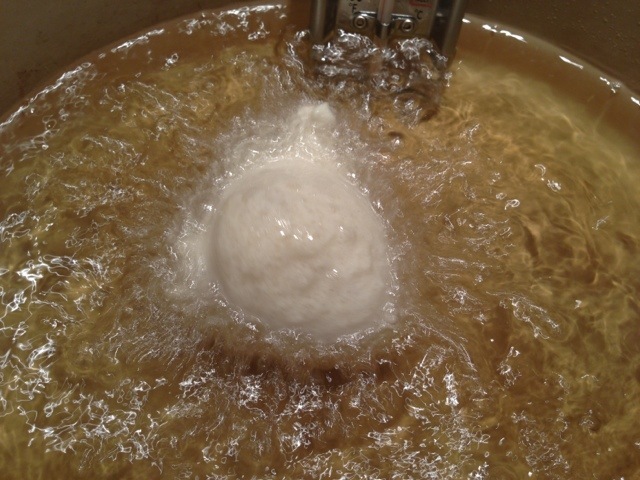 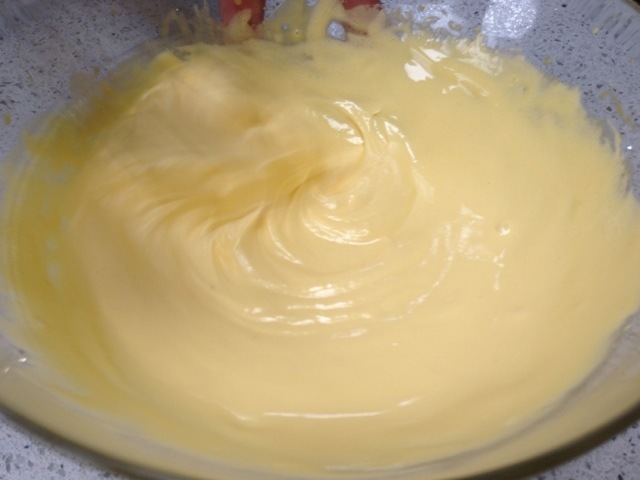 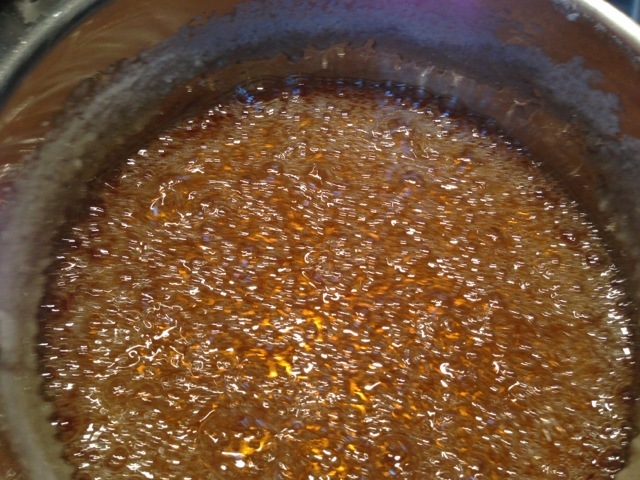 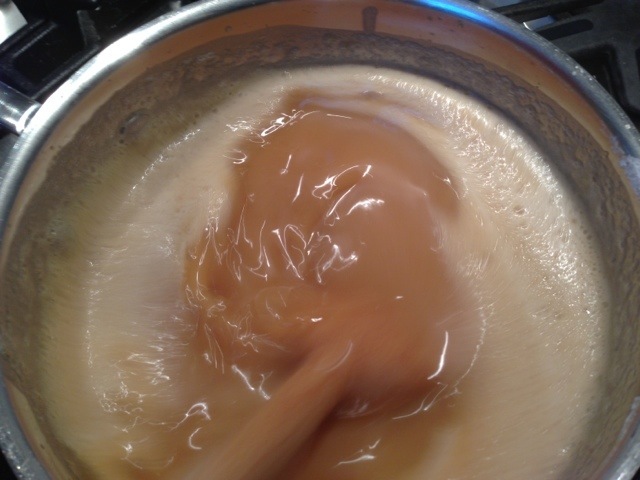 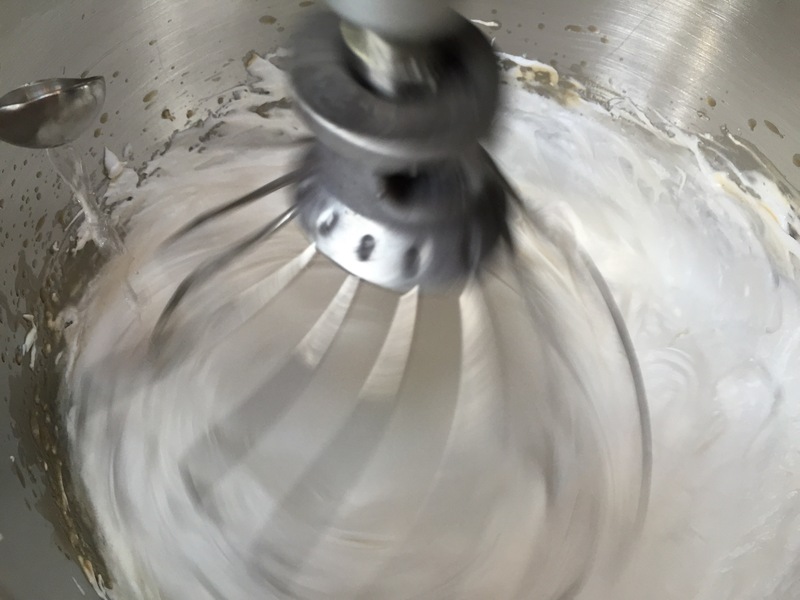 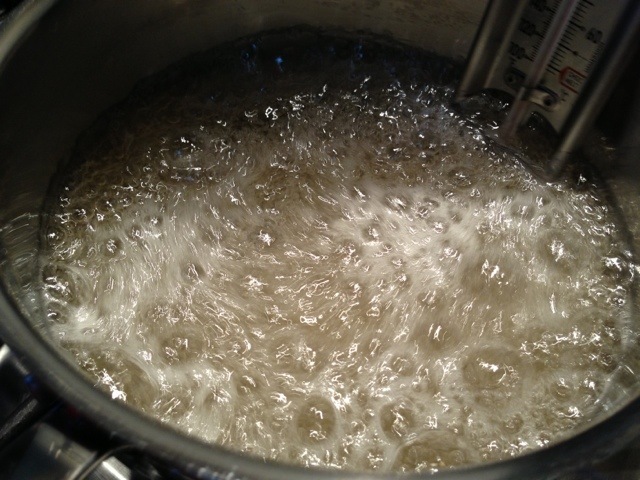 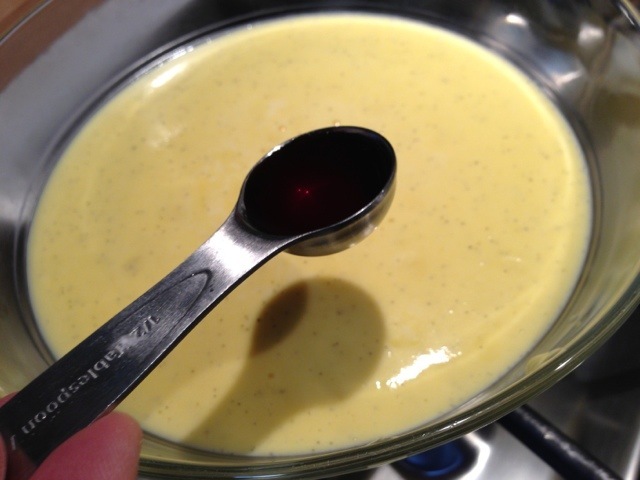 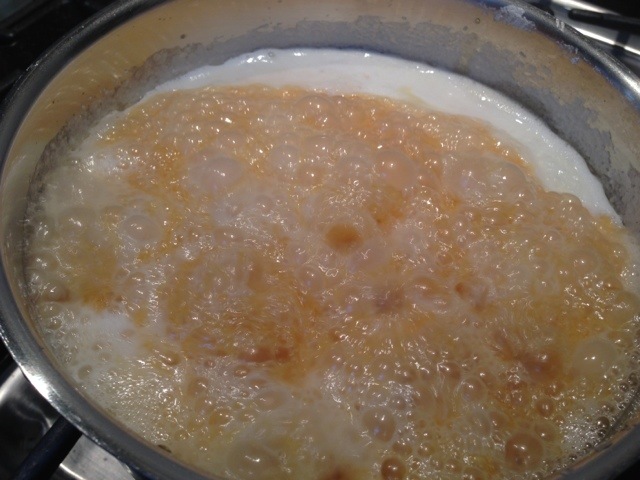 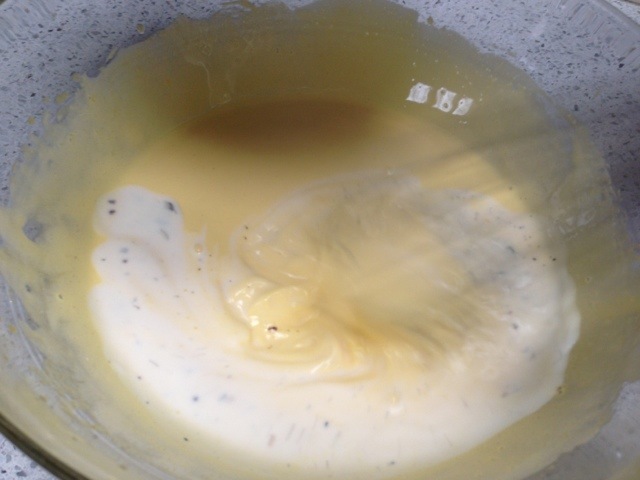 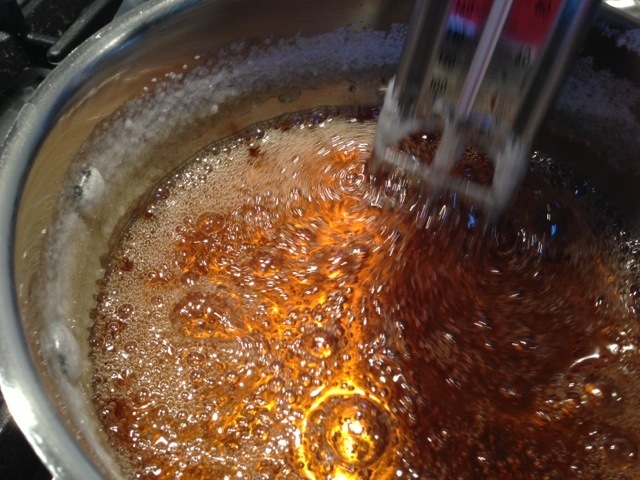 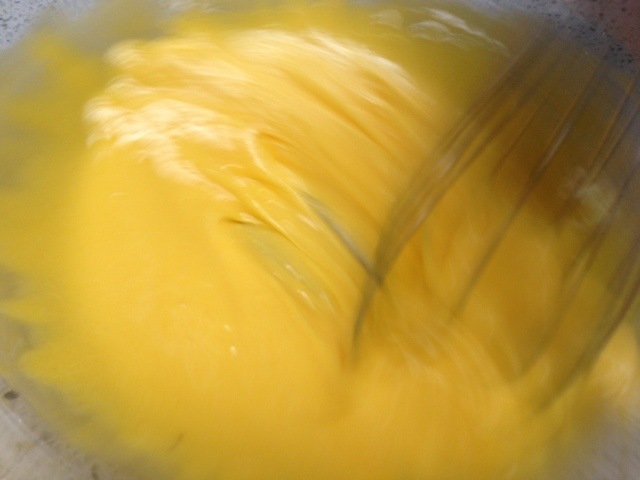 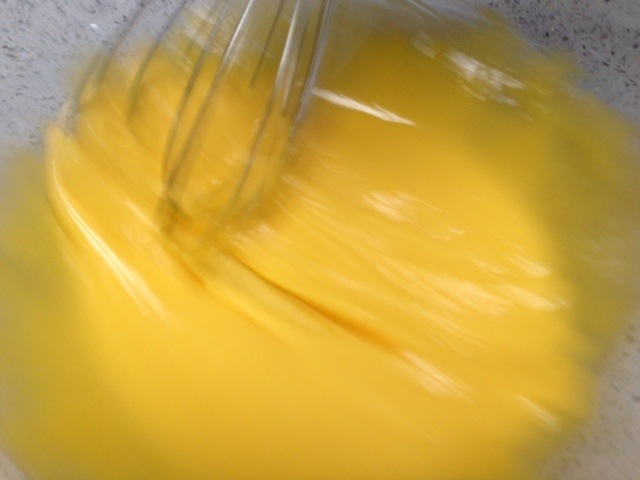 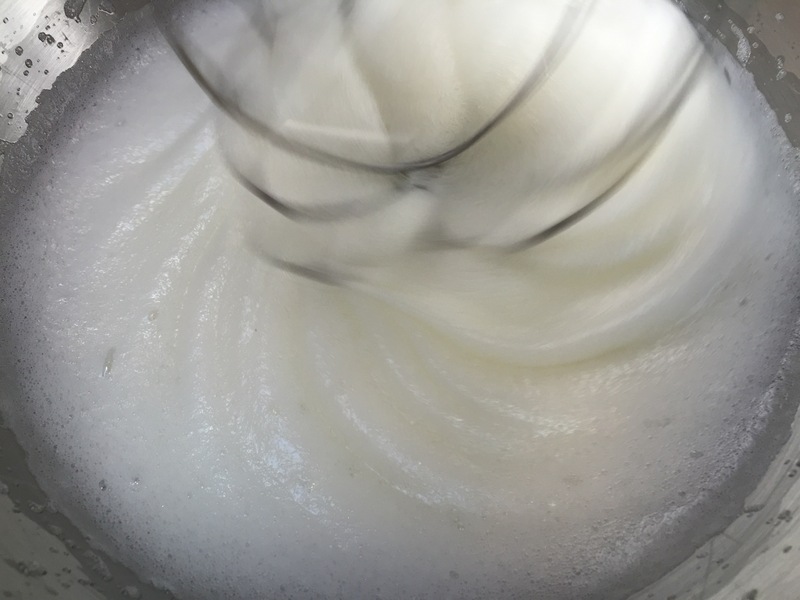 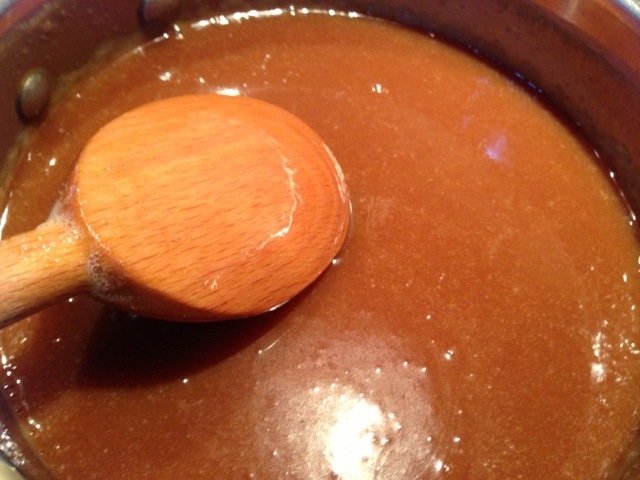 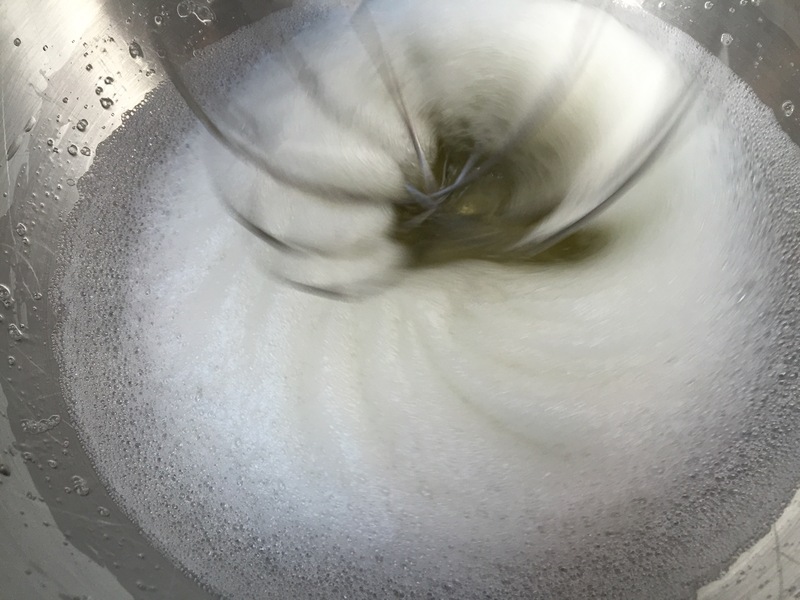 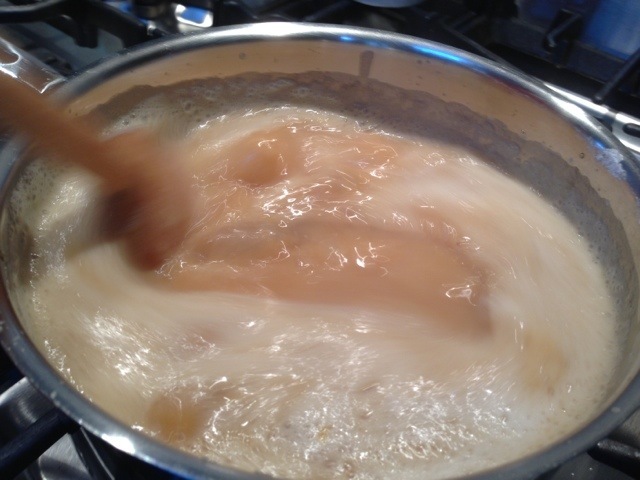 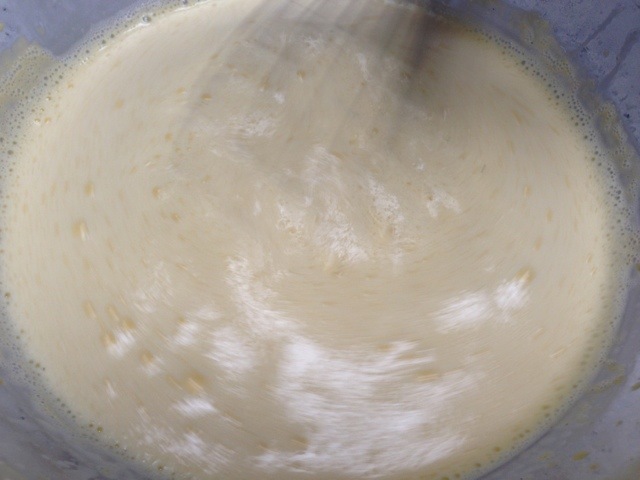 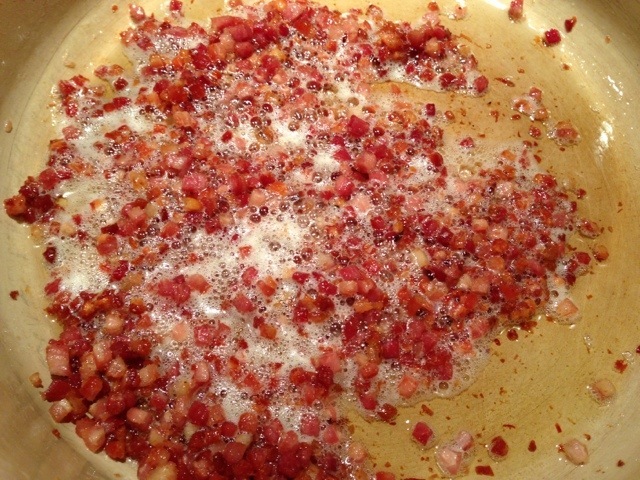 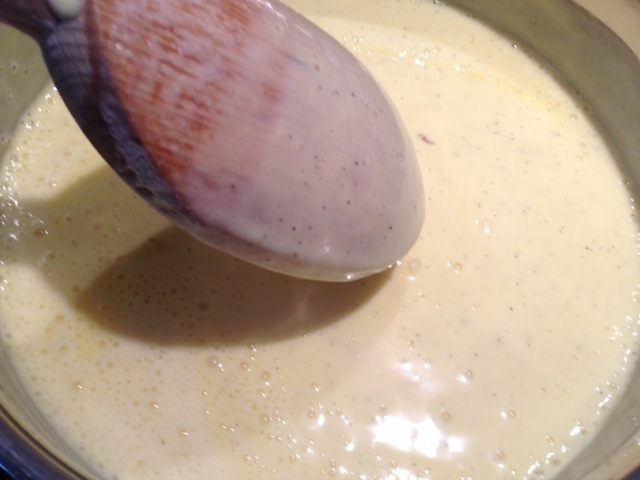 The simmering liquid mixture was then slowly added into the egg mixture while constantly whisking. 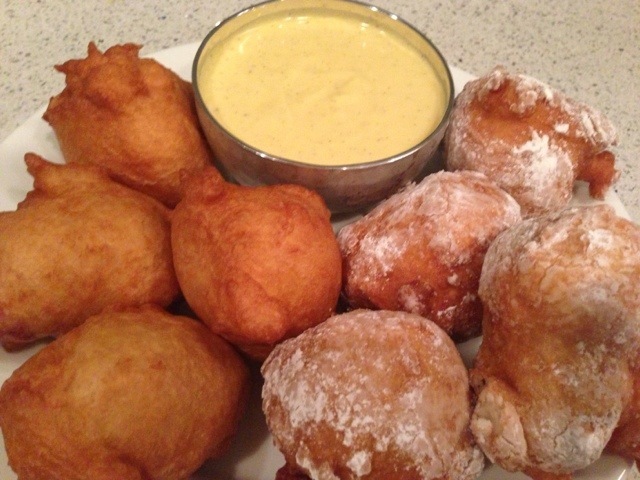 Dip… bite… dip… bite… this could have went on forever! 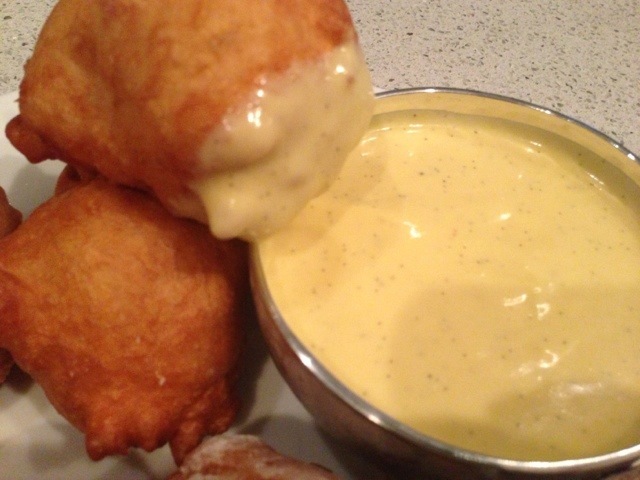 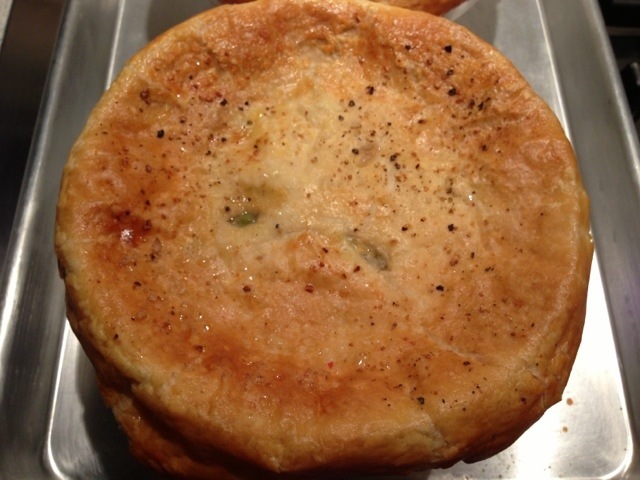 After an hour, the puffed pastry was golden brown and the creamy filling, bubbly and piping hot. 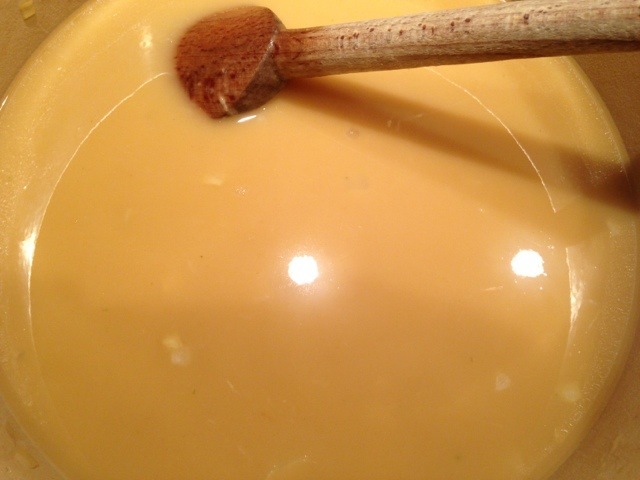 On such a chilly night, the only thing I could think of having to warm myself up was a thick, luxurious, spicy hot chocolate. 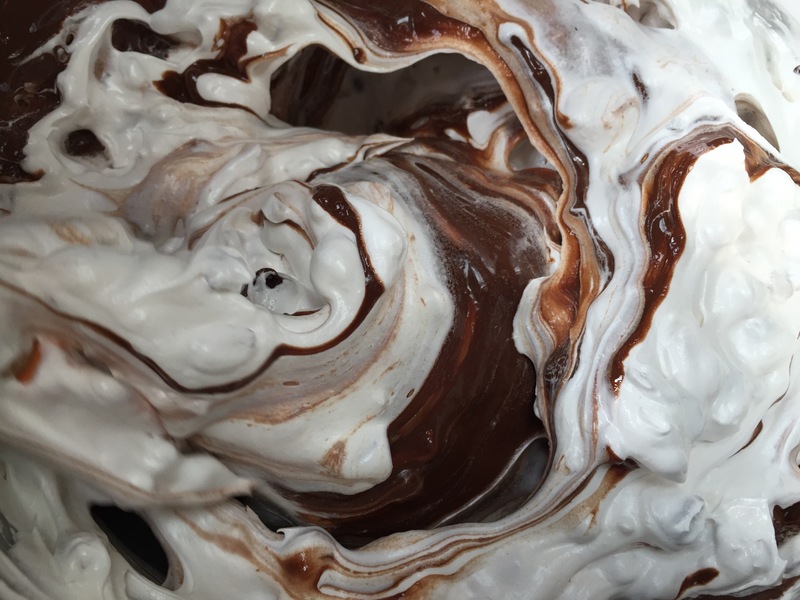 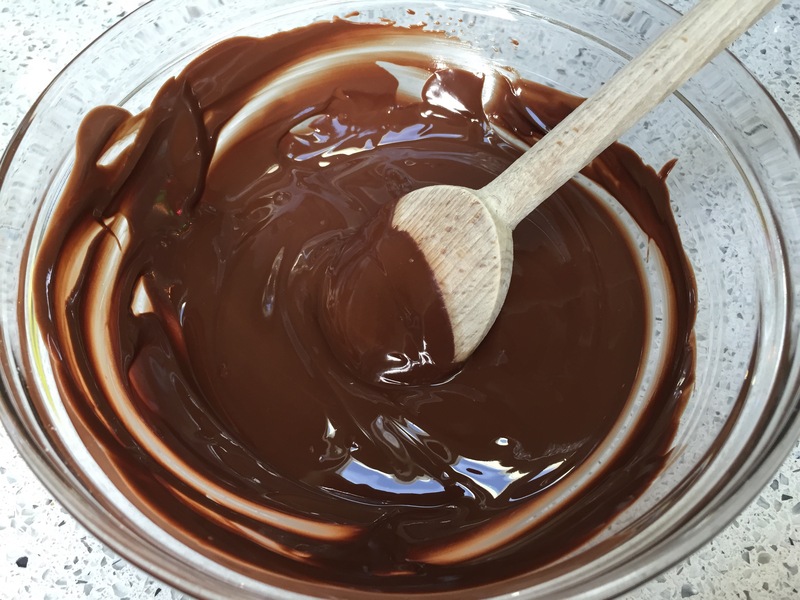 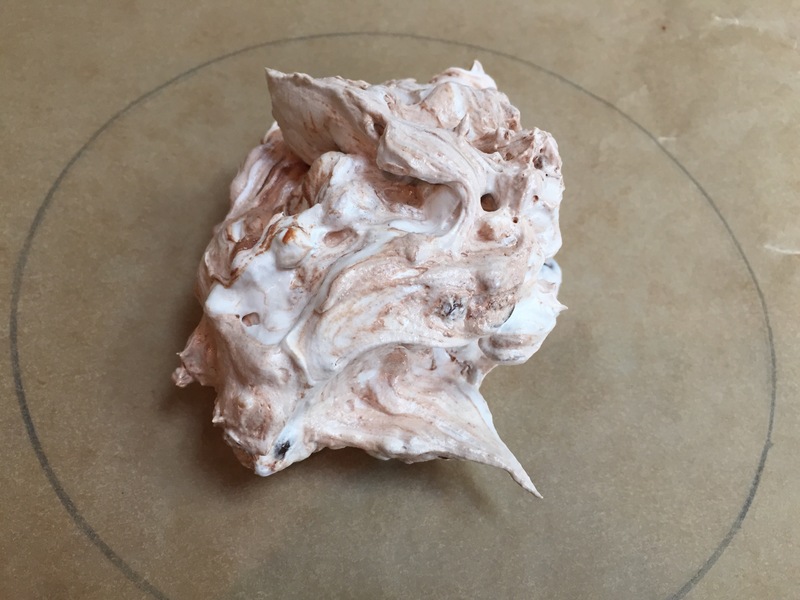 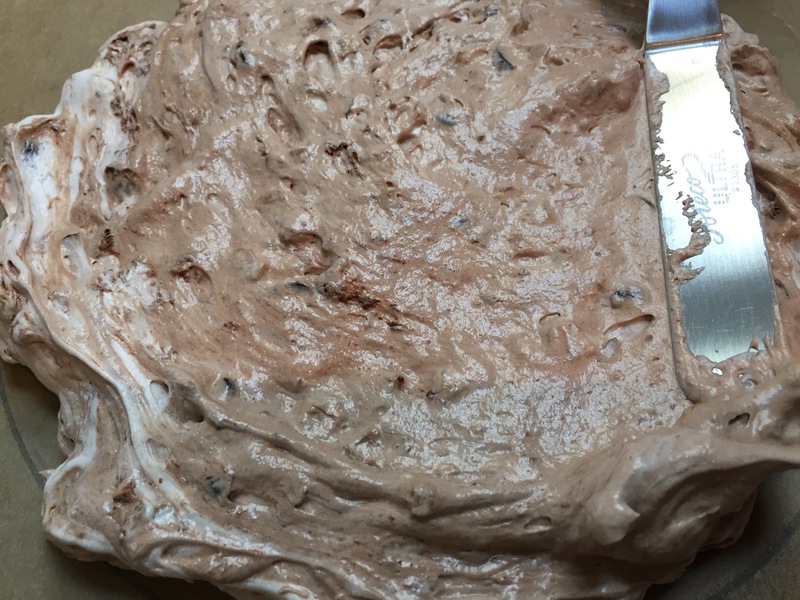 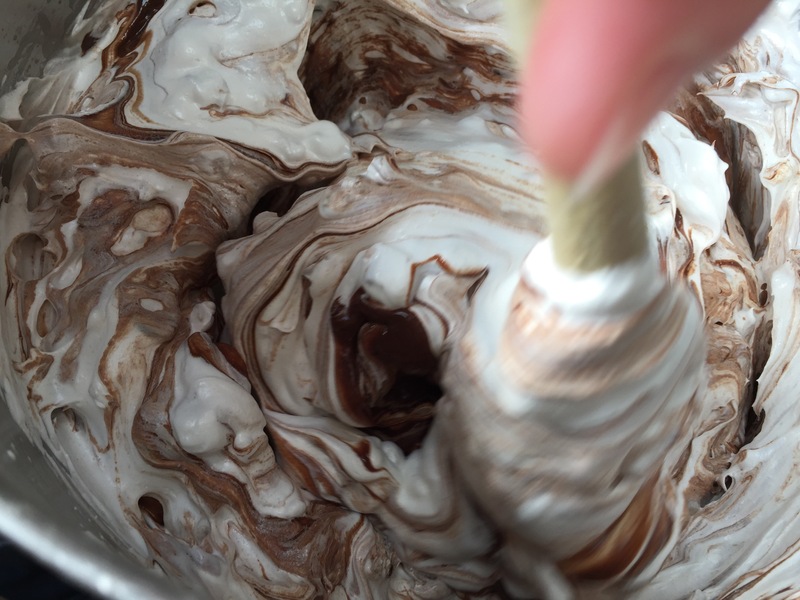 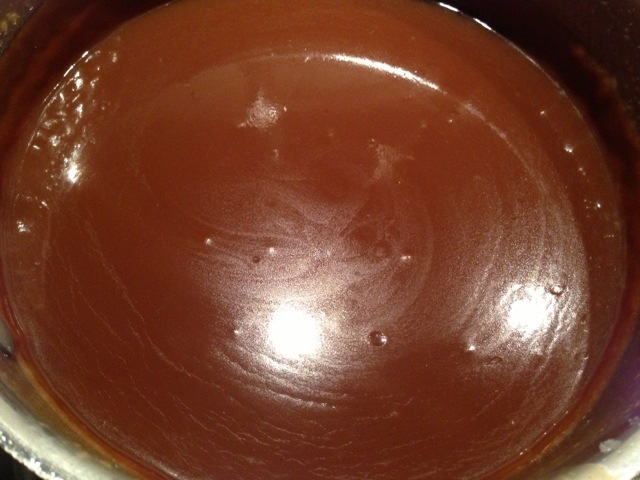 Shards of chocolate were gently melted in a shallow pan of simmering milk and cream… everything was constantly whisked until completely smooth. 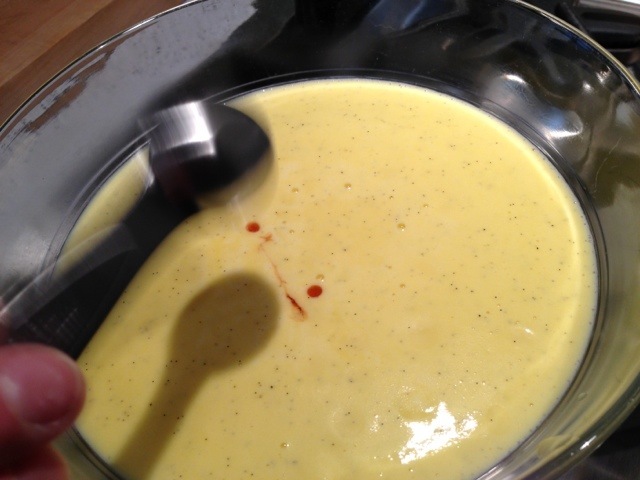 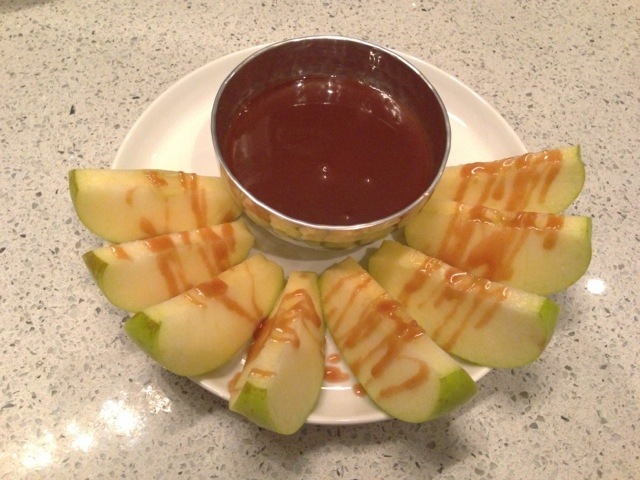 Once everything was melted, a nice hit of cayenne was added in to really bring home the spicy element! 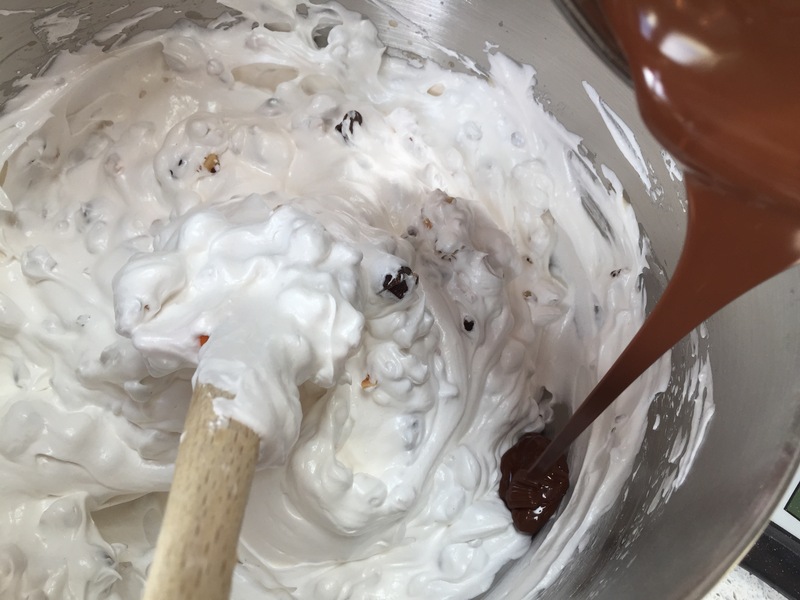 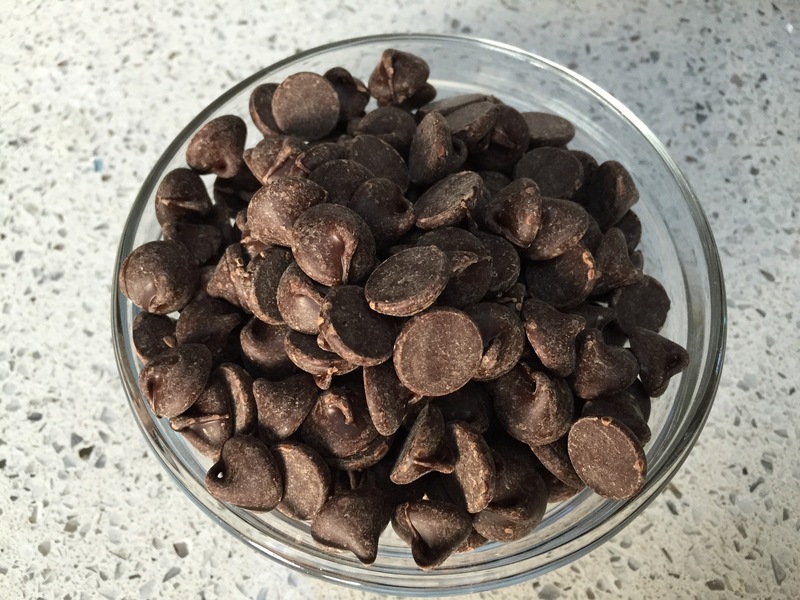 Poured into tall mugs, this sultry and silky concoction was a perfect way to close out the evening… the cayenne gave a gentle poke in the back of our throats, while the chocolatey mixture soothed it all out! 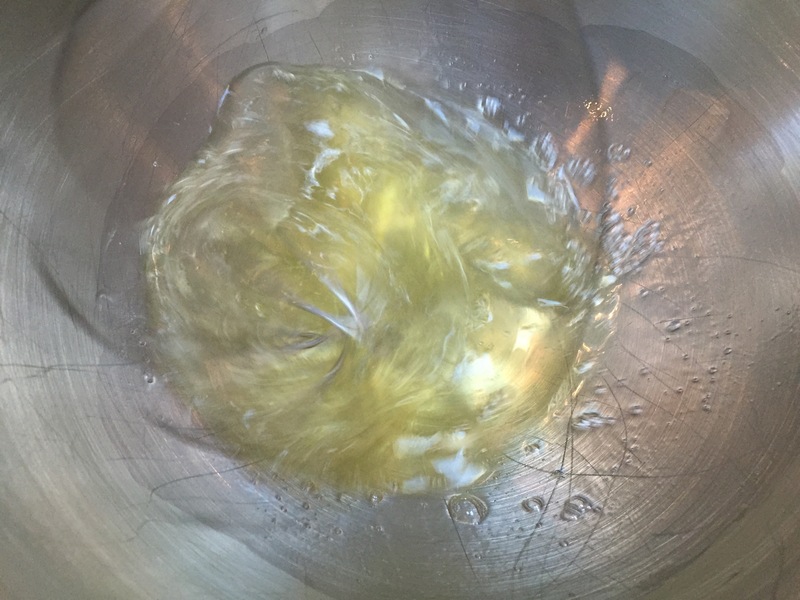 vodka… not just for shots! 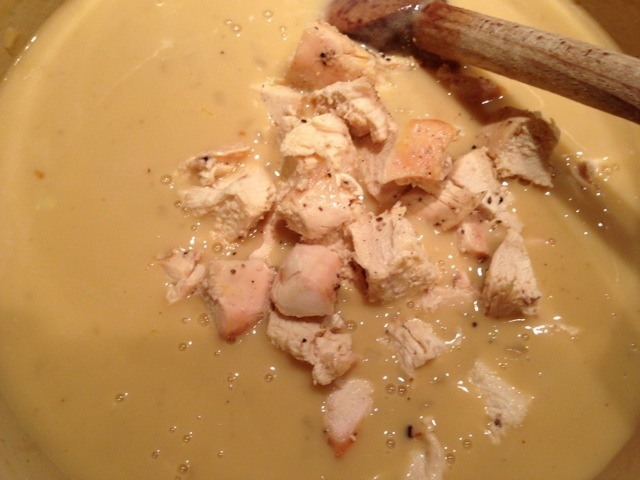 As if I didn’t get my fill of vodka at this weekends wedding extravaganza, I decided to cook with it tonight! 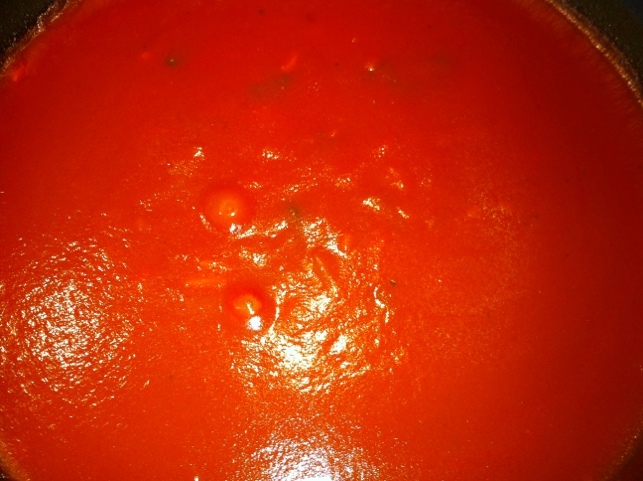 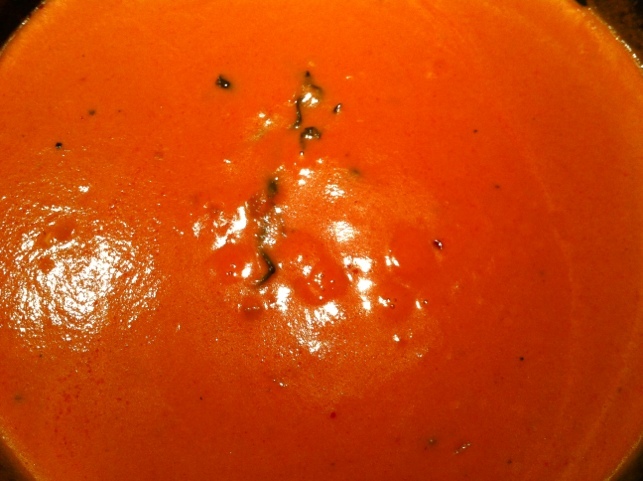 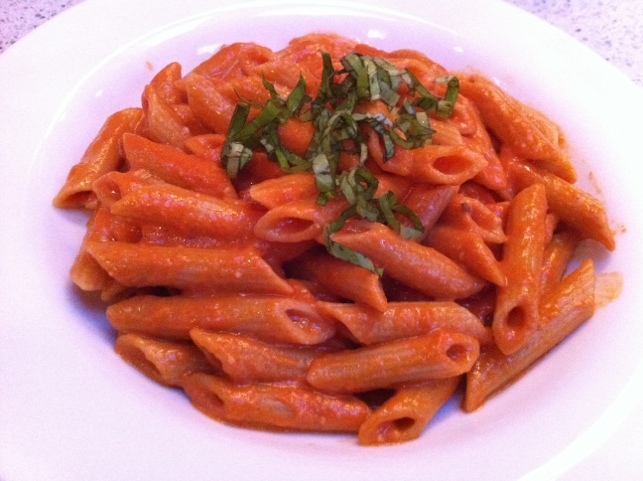 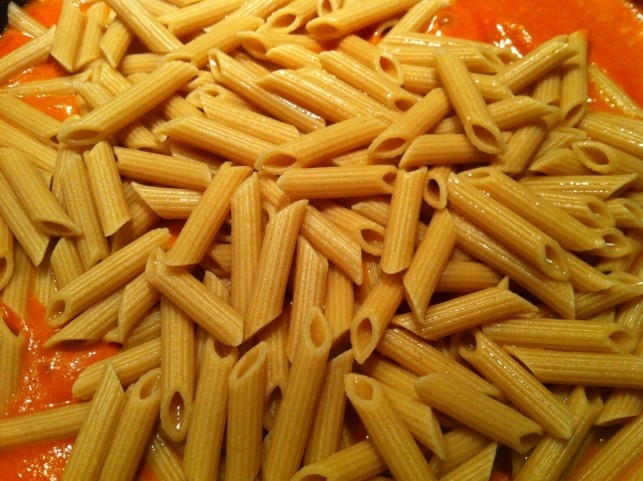 Just a simple vodka sauce made with some of the sauce that was freshly made yesterday. 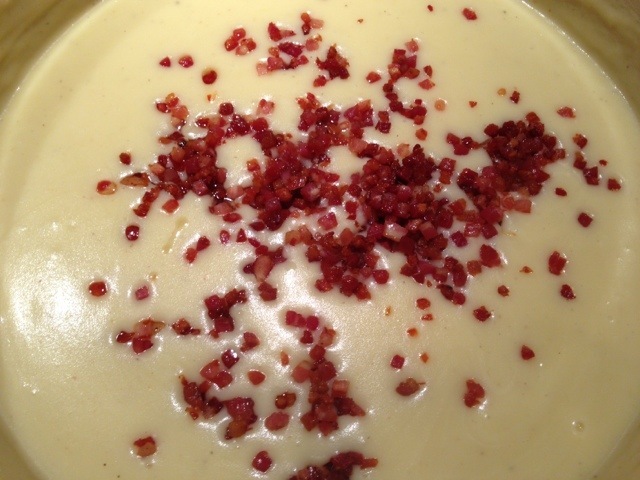 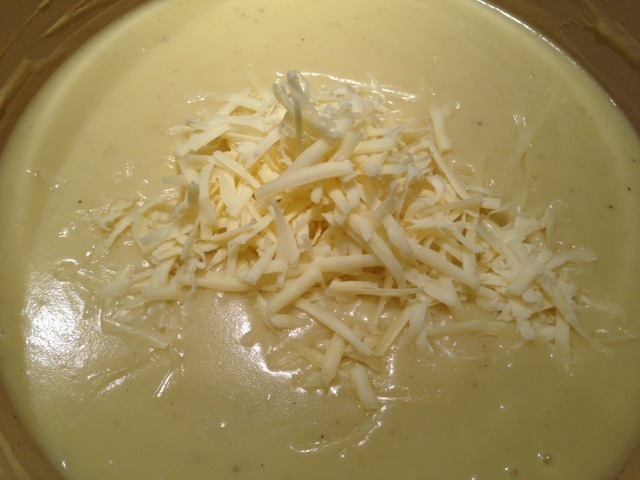 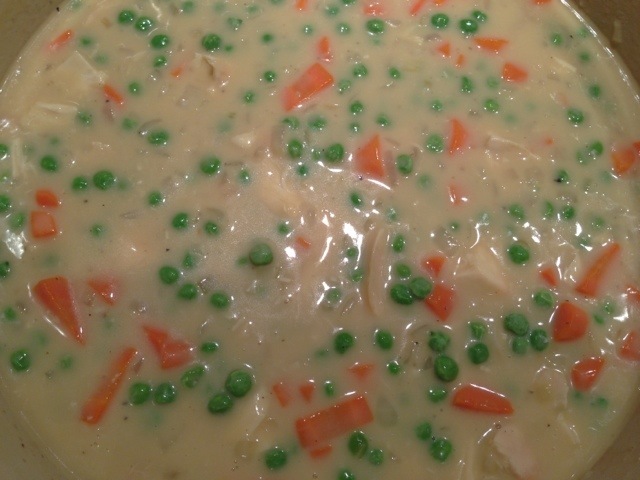 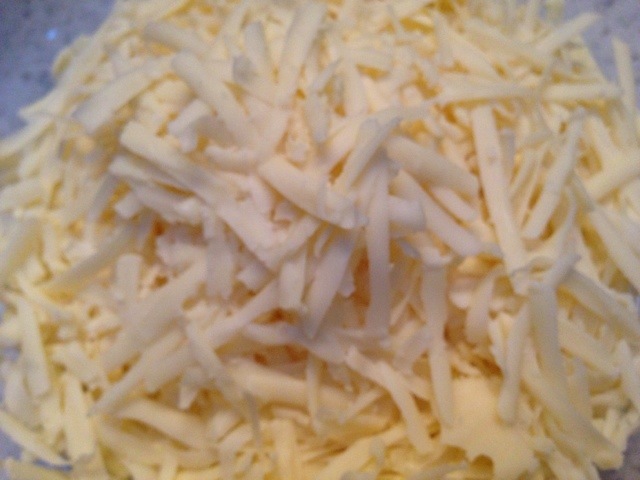 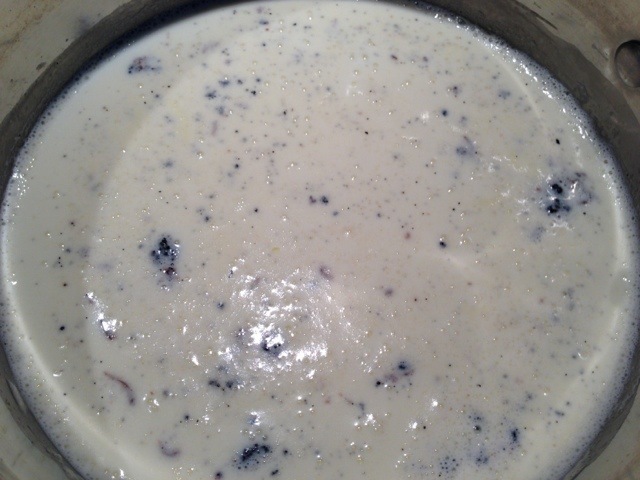 Some heavy cream, freshly grated pecorino, basil and of course… VODKA! 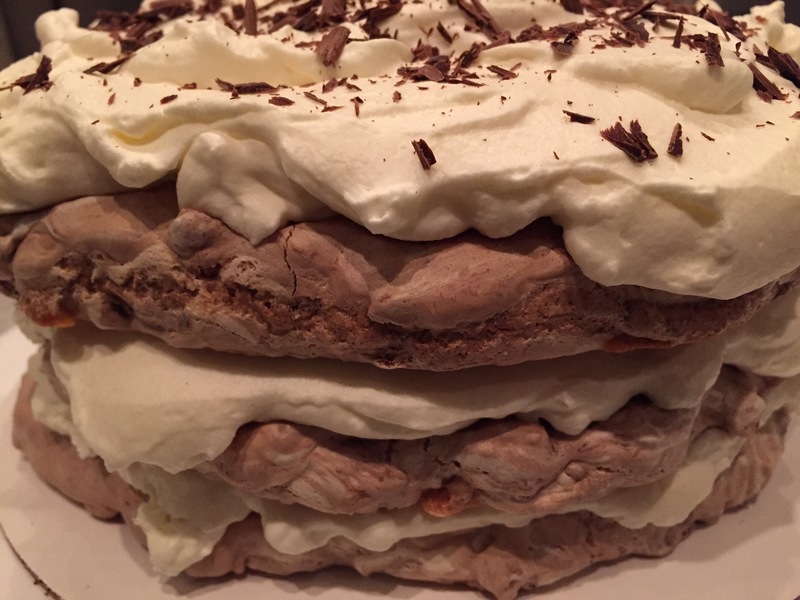 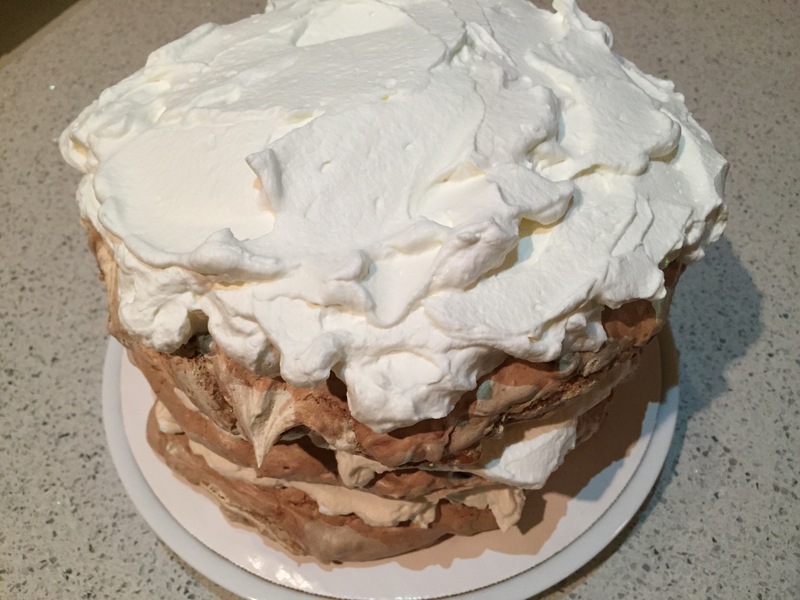 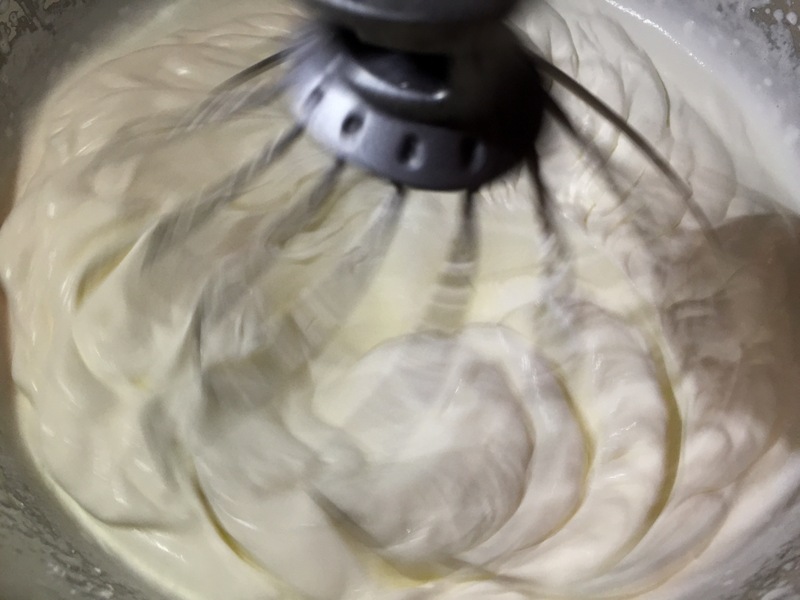 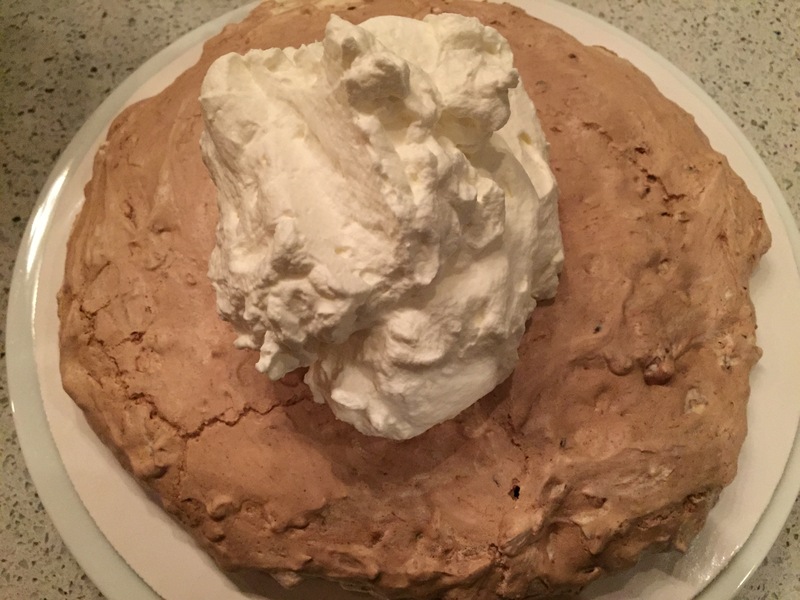 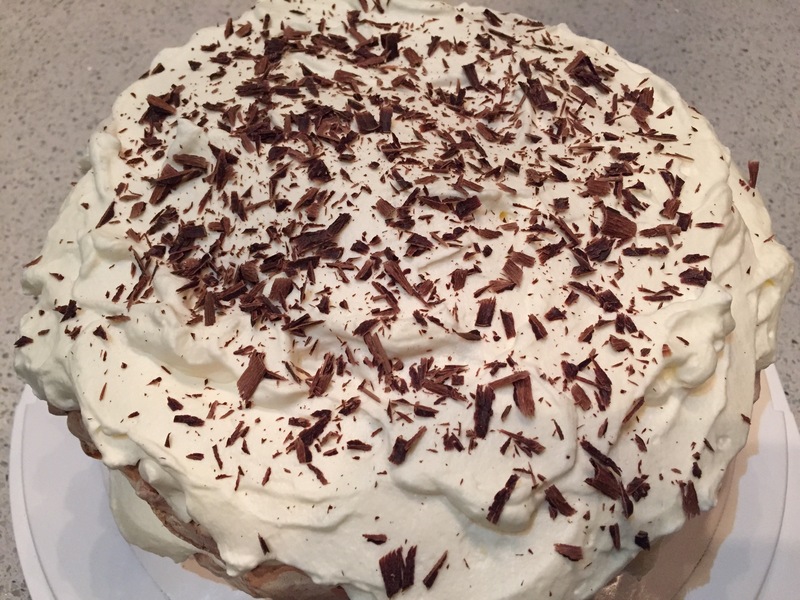 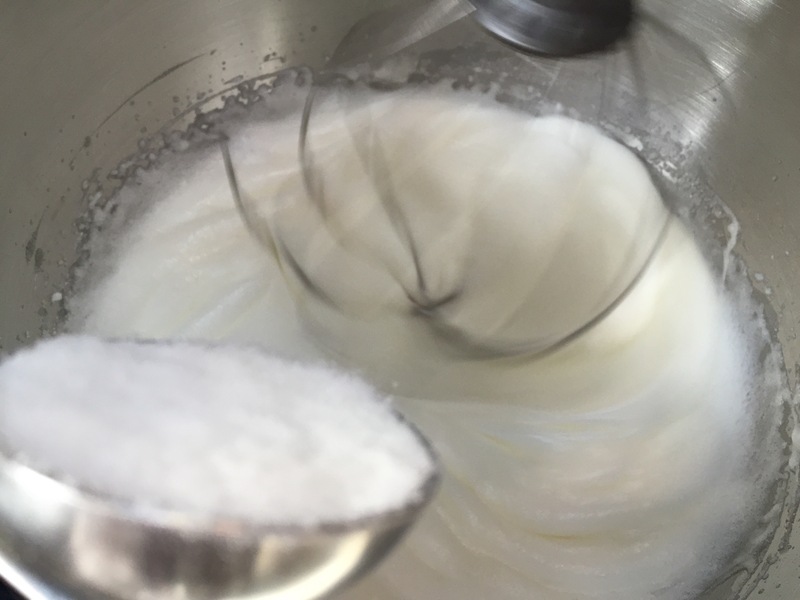 The vodka offers a nice bite, while the cream provides a smooth and velvety texture in addition to a wonderful, almost sweet flavor!